This is a blog about things to do in Iowa. More specifically, it’s about things I like to do in Iowa. And it’s about challenging myself to do things I haven’t done before and go places I haven’t gone before. My main goal is to do something every week and write about it. As I said in my first post, it’s sort of like the Julie and Julia project, except without the rich sauces. You should know this first: I am not a native Iowan. I spent nearly 40 years living in Missouri. I moved to Ames, Iowa, in 1997 to work for the Iowa State University Alumni Association as the director of communications and editor of VISIONS magazine. It was a bit of a hard sell, but in the end, my husband and kids came along. I was actually born in Independence, Mo., the home of Harry Truman. His house was very near my junior high school. I caught a few glimpses of him walking the neighborhood with his Secret Service agent. I moved to Maryville, Mo., in 1977 to go to college at Northwest Missouri State University. I met my husband, Dave, there. After we graduated, we worked in the newspaper biz for a couple of years. Then I got a job working at Northwest as the director of publications. I learned so much from that job! I was there 15 years. I must have put out a few thousand publications during that time. It was pretty intense. In the 20-plus years that I have been an Iowan, I have way more state pride than I ever did in Missouri. I am not sure why that is. But I really fell in love with the state. I even wrote a love letter to Iowa in the magazine one time. It’s funny, because even though I grew up thinking I was a Big City Girl, living in the Kansas City area, I think I live a more sophisticated life in Ames. For one thing, I have grown to hate the suburbs. Give me a big city or a small town any day…but please, no Generica! In Ames – and in Iowa – you can find some of the best food, the best art, the best theatre, the coolest events. And you don’t have to fight the traffic to find it. So, I am a happy Iowan. From this launching point, I have traveled to many western and northern European countries, to Russia, India, South America, and all 50 states. But some of my favorite travels are right here in Iowa, or just a little bit north in Minnesota. • I have been a happy vegetarian for many years. • I still have the husband and two kids – one graduated from Iowa State in May 2010, lives in Des Moines’ East Village, and works at the ISU Foundation in Ames; the other lives and works in Denver, Colo.
• I love to collect stuff, and I have amazing collections of holiday candles and mid-century plastic holiday decorations. • I like to hike and walk on the trails in Iowa and Minnesota. • I am getting older, so I don’t walk as fast or as far or as high as I used to. • I’m not a big sports fan, and I’m not really into politics. And, I once caught a salmon with my bare hands. I just read your Christmas letter. If you want to get to a warmer climate and higher gound (1800 feet) come see us. We are on top of the Cumberland Plateau in Fairfield Glade TN. Really enjoyed your writing. I was born and raised in Kansas City, MO then spent 34 years living in Sioux City IA before moving to Sioux Falls SD. I stumbled upon your black and white photo of the cylcone on the internet.It’s beautiful! I have been looking for a photo to have framed and give to my fiance as a wedding present and yours is one of the best I’ve found. He’s from NYC and loves the Cyclone. Is your photo for sale? I’d be interested in finding out if the resolution is high enough to have the photo enlarged. We are getting married in two weeks so my time frame is short. I would be very grateful if you would email me at your earliest convenience to discuss. I really enjoyed reading about so many things on your blog and your pictures really turned out fantastic. I am so happy you have posted them – I’m able to show off our state to others who say it’s ugly because of a few of them you have posted. Your pictures prove them wrong! Iowa is indeed a beautiful place. My girlfriend and I just visited NE Iowa and the McGregor/Marquette area on Friday and even though it was March, it was still beautiful – but, then I saw your pictures and read your blog. As pretty as it was on Friday, wow, it was amazing to see your pictures. I will be heading back in October. I also enjoyed reading how Iowa has really become your “home” state now. As a native Iowan, I love reading that – because I have lived in many other states: Montana, North Dakota, South Dakota, Minnesota, Missouri, Arkansas, Oklahoma and Texas. I love mountains, something Iowa sorely lacks – but overall I’d take Iowa over any of the other ones I lived in. It’s a beautiful place with rare things that are unique to Iowa and those things keep it special. If you are ever in Waukee we are opening a paint and sip art studio in late September. We would love to have you check us out! I just found your blog searching for the Ada Hayden bike/walking trail. Seems you and I wander in the same areas. I am glad I found you, another Iowa lover! I was born in Iowa but grew up in Illinois before coming back to Iowa for college. I love to travel but it’s always fund to come home. Great photos and documentation of offerings of this great state – thanks for enlightening us with your travels and experiences! I have a question regarding the use of a photo on your site – shoot me an email if you get a chance! Hi there! I just stumbled across your blog and think it’s great! I’m glad for more ideas to explore in my home state! As a suggestion, you should explore Dyersville. It’s the “Farm Toy Capitol of the World” and probably has a bit more Farm Toy stuff than LeMars has ice cream stuff. It also has the Field of Dreams! Thanks for doing this – I look forward to your adventures! I just stumbled upon your blog-very nice. I am the Director of the ISED Ventures Women’s Business Center. We work with women and immigrants to help them start and grow their businesses. If you would like to visit businesses owned by women and immigrants, check out our Business Directory! Just one suggestion to whet your appetite – El Salvador del Mundo- a Salvadoranean restaurant on 6th Ave in Des Moines. Great Vegetarian Jr.
Just read about your trip to Indianola, very nice writeup about our community. next time your this way I hope you will stop by The Garden Barn, located about half way between Des Moines and Indianola http://www.thegardenbarn.com/ . Since 1996, I have had the joy of owning a gift shop located in a historical 1886 barn with ajoining gardens. Would love to have you come by. Love reading your blog especially the Home State snippets. Many years ago I had relatives who had moved from England to Iowa in the 1930s and lived in Des Moines and Boone. They visited regularly in the 50 and 60s but then lost touch but it kindled an interest in Iowa and that has been rekindled by the stories by Bill Bryson and more recently by your blog. Excellent keep up the stories of every day events. Thank you, Alan. I love being in the same sentence with Bill Bryson! Sure, Jeanine, you’re welcome to use it! Publicize all of the incredible writing .. cooking .. and reporting this talented group of people are doing everyday. This blog is very interesting to me because I live Iowa as well. My family loves to do fun things around Iowa when we have the time. I have gone to different musicals and plays at the Des Moines Play House. Have you ever gone there to see a play before? No, I never have! That sounds like a great idea. Carole, I’m interested in using your photo of the flooded National Czech and Slovak Museum and Library. 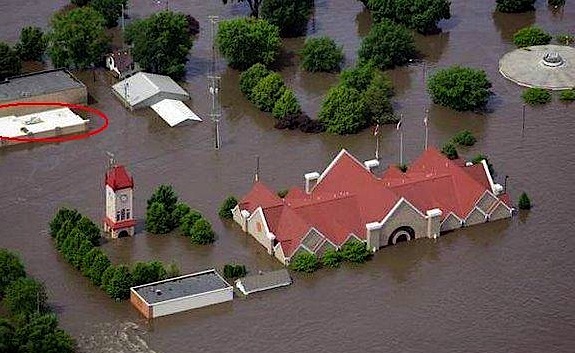 It would be used for our departmental newsletter: School of Library and Information Science at the university of Iowa.https://iowagirlonthego.files.wordpress.com/2013/06/2008_flood_cedar_rapids_czech_museum_ii.jpg I’d be very willing to give you photo credit. That’s really not my photo. I obtained it from the museum. I’m sure they have pics to share with you. My husband and I hike the Loess Hills State Forest trails almost daily. Get in touch and we will show you trails that will knock your socks off! Sorry I’m just now seeing this. If it’s not too late, sure, you can use the photo, and a photo credit would be nice! I’m terrible about checking messages. Am I too late?